I know they are probably a bit outdated or very "last year" by now, but I just love a nice brushed nickel bathroom faucet. I think that the finish paired with marble, white, and nice soft color palettes is so lovely and has a very traditional look but with a slightly contemporary twist. I want to replace our old brass bathroom sink faucets with a brushed nickel variety like these, but I do worry that the money I spend will still result in a slightly dated design. Can any designers out there weigh in on if I would be making a mistake swapping out my bathroom fixtures for this style or is it still on trend nowadays? I am thinking if I keep the rest of the room's decor quite contemporary and with a really nice color palette it will probably look quite nice. Bathroom mirrors are one of those finishing touches that many people overlook when they first begin renovating, but that make such a huge difference to the overall decor of the room. A trashy outdated mirror, or any other old bathroom fixtures for that matter, can instantly destroy all of the hard work you have put in to beautifying your space, because they reveal the actual age of the home. 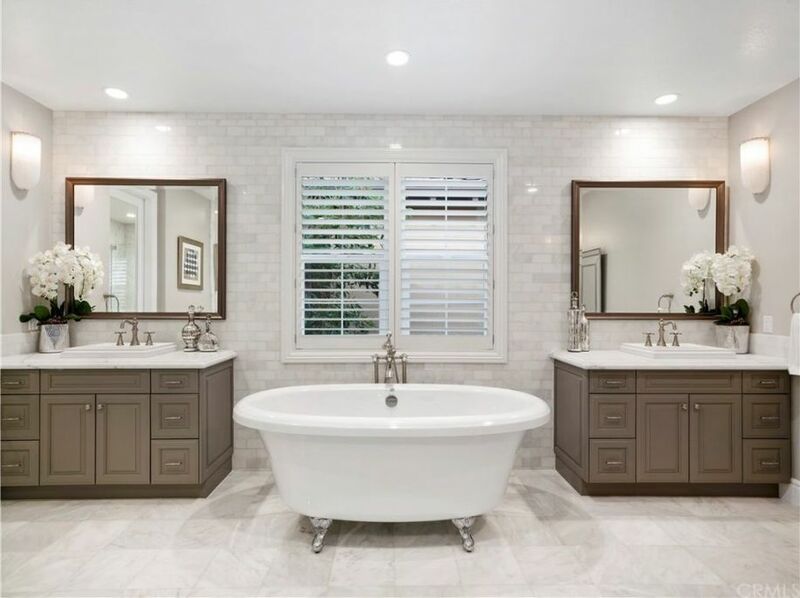 On the other hand, even if you have outdated tile and flooring for example, new bathroom accessories like light fixtures, vanity mirrors, faucets and other fixtures can actually disguise these other elements and make a room look brand new. Picking a shower faucet may not seem like a huge design task, but it can actually make a large impact on the "wow" factor of your room, especially in a larger space like a master bath. Of course you can always go with your standard single head design, but if you have the space want to bring some a little more trendy and exciting to your room, I always suggest multiple shower fixtures, particularly in a spa-like design. 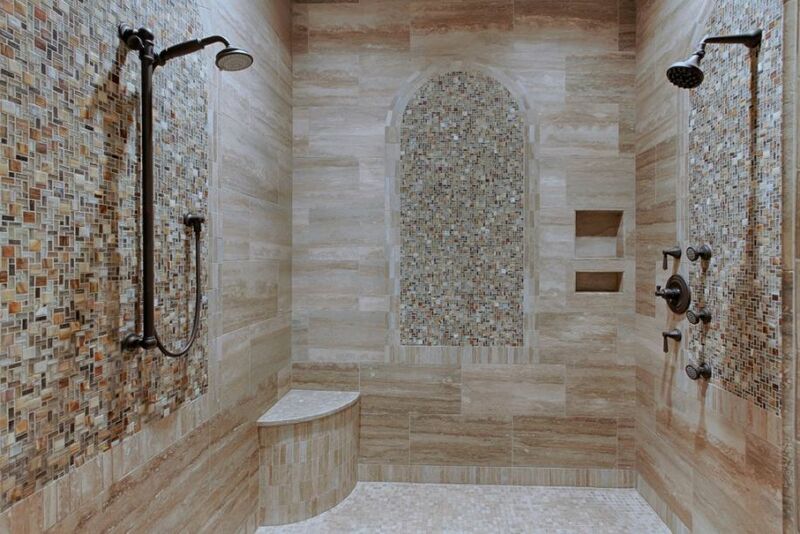 This gorgeous mosaic accented walk in shower that we just completed is a great example of this concept. There are two separate showering zones, one of which is equipped with multiple spa heads to provide several water streams in varying pressures and massage settings. 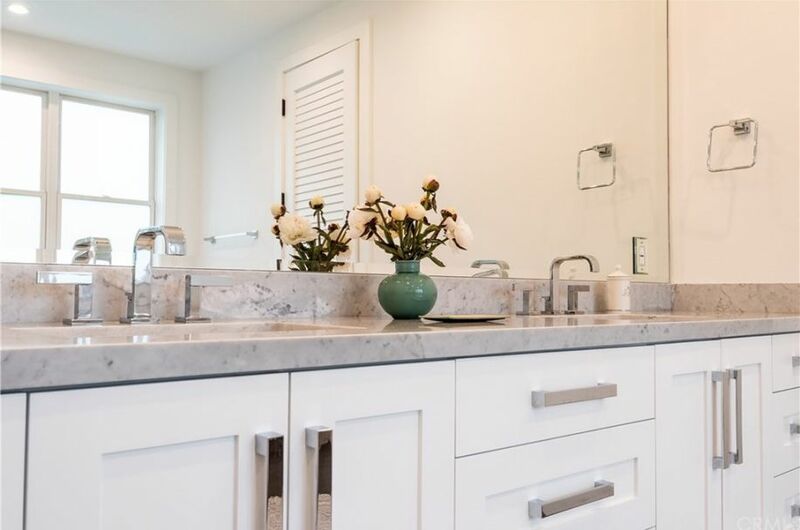 There have been so many cool new bathroom hardware trends in 2019 that is is hard to choose which pieces to incorporate in your space. My clients know me for for my primarily contemporary-focused decor style, so I tend to gravitate towards features and fixtures that have a cool modern flare to them or something that is out of the ordinary and unexpected. 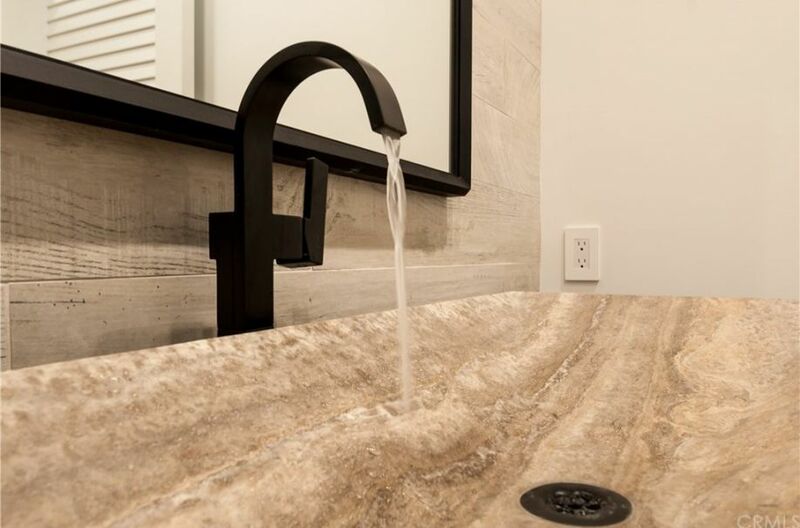 One of my favorite new trends is the waterfall faucet because it adds a bit of organic appeal and eccentricity to the space. 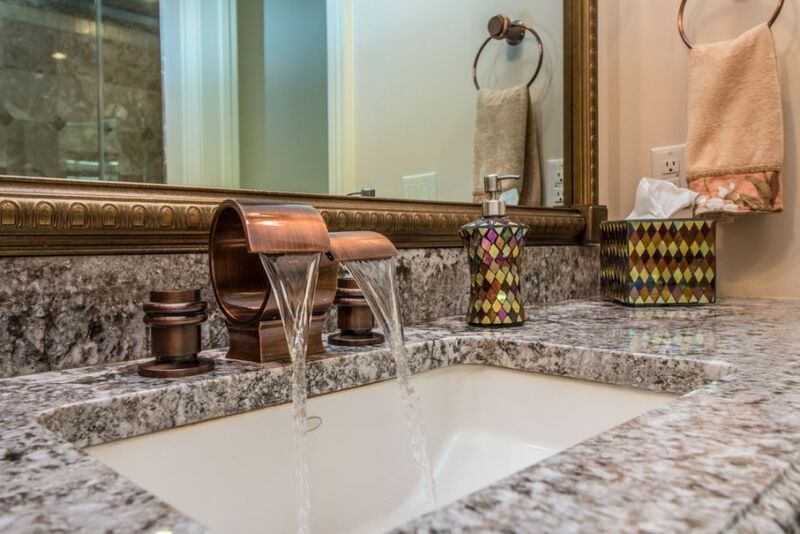 Plus guests are always wowed when they turn on the faucet and see the unique water stream. You can use a single stream faucet or an awesome double stream variety like the one we used in this updated master suite. Ever since my partner and I took on a DIY home makeover, I have been learning so much about the minuscule elements of a design that I honestly had never thought of before. Bathroom faucets are the latest in the lineup of items that I had rarely paid attention to in the past, but that I know scour with great interest as I try to select the right pieces for our new master suite. Both her and I prefer a sleek and modern decor style overall, but with touches of a more organic look from metals and exposed wood. I love the look of this bronze bathroom faucet against the wood tile wall, awesome natural stone vessel sink and floating vanity. I would love to find a store that sells high end bathroom fixtures like this because most of the offerings at our local shops are fairly bland with nothing unique or exciting like these pieces. In todays design scene filled with grey color palettes, marble countertops and flooring, and polished nickel or chrome faucets, I absolutely adore seeing a gorgeous new design that brings in something just a bit different. This designer did just that by choosing a stunning gold bathroom faucet as opposed to the more popular silver varieties. 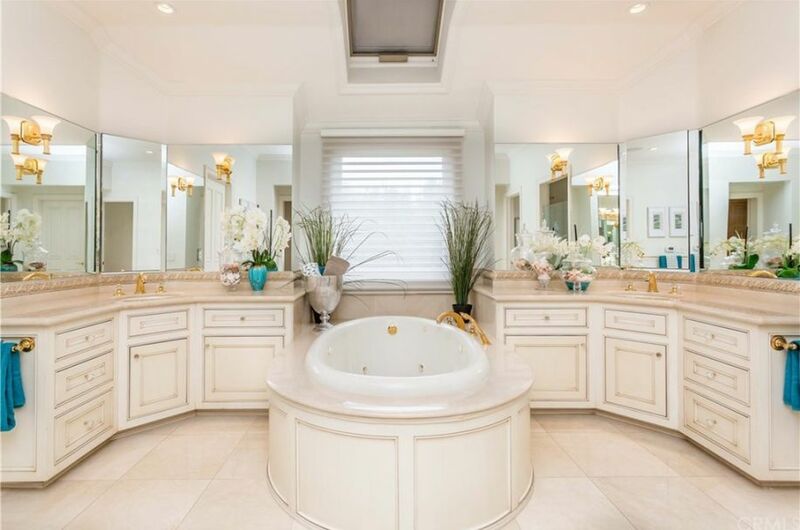 I think it blends just beautifully with the pinkish tiling and countertops as well as the soft ivory paneled tub surround and coordinating his and hers bathroom vanities. The result is a classically elegant space reminiscent of the luxurious vintage bathrooms I saw when we visited Paris last year.